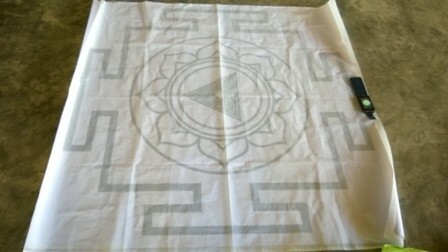 Yantra: The yantra is the symbolic and visual form of the Shakti, the energy. 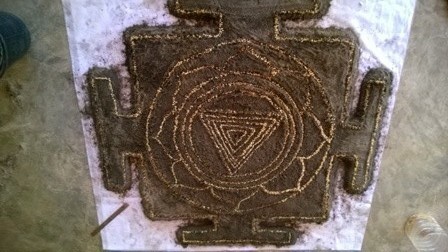 It appears like a geometrical design on which eventually various mantras can be inscribed, through which the Shakti can be internalised. 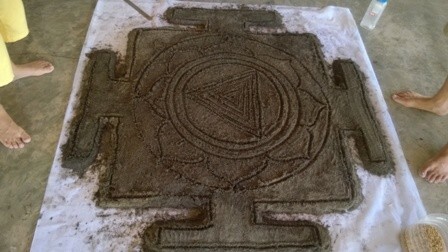 Each yantra is representing a totality, a specific manifestation or crystallisation of the universe. 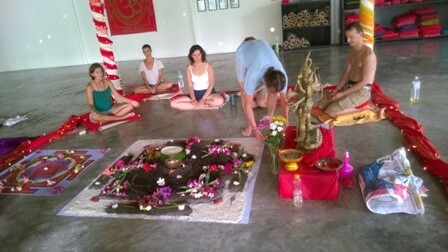 There are several ways of using Yantras. 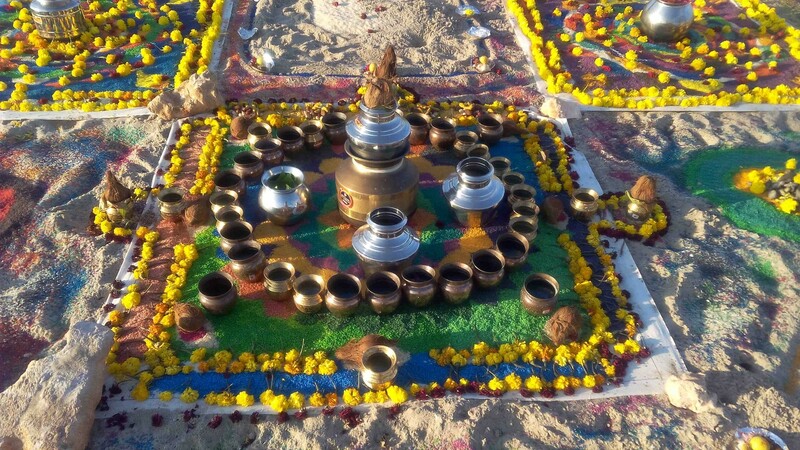 A very profound one is the ritualistic creation of the yantra on the floor using earth, grains, copper urns and the consecration, the empowerment of this process with the help of mantras and ritualistic procedures. 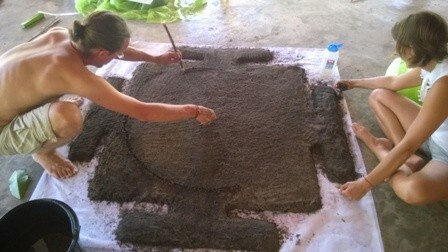 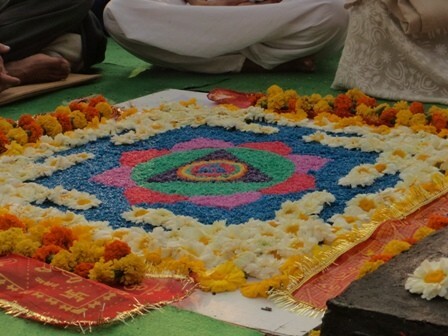 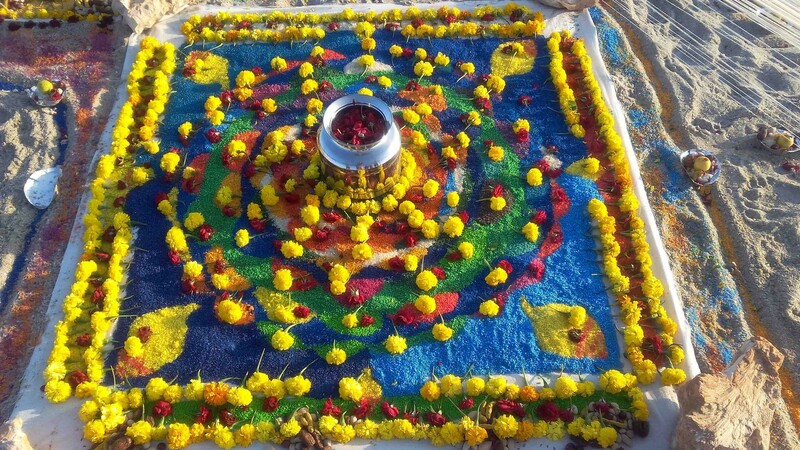 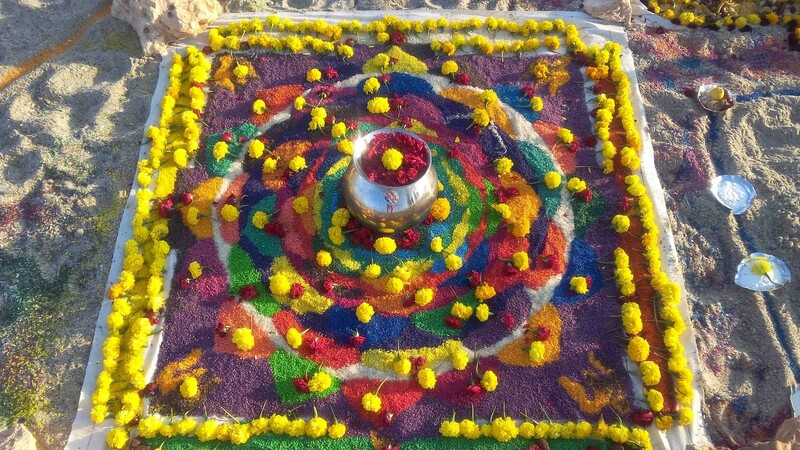 The yantras can also been build with coloured rice or flowers when it is build for shorter period of time. 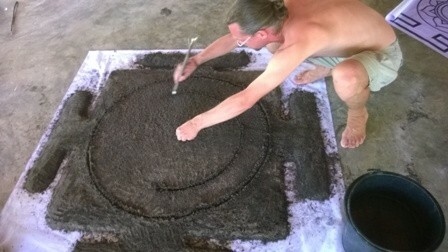 Thus the constructed Yantra becomes alive. 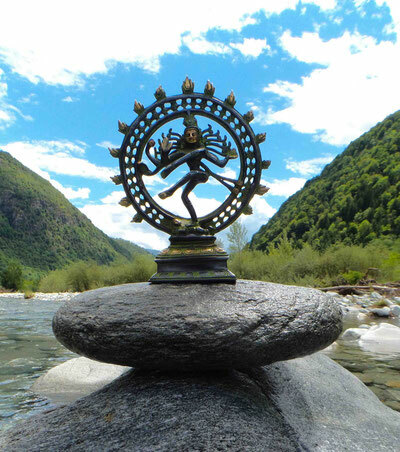 The Shakti it represents and its power can manifest not only for the practitioner meditating with it but also all the surroundings. 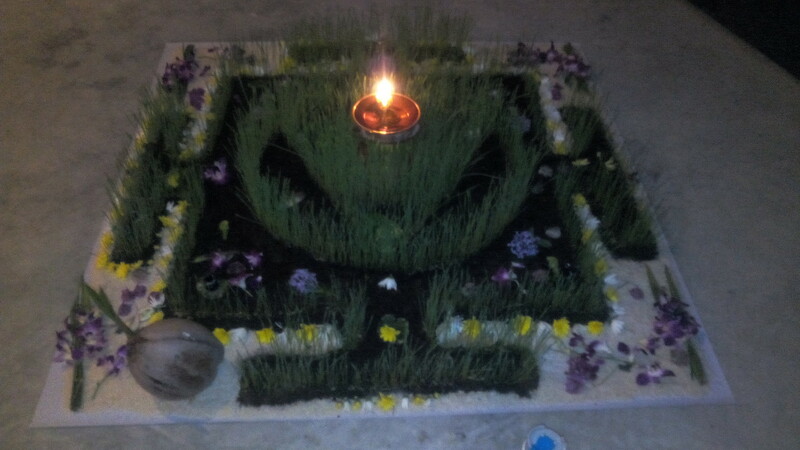 It acts as a strong blessing for the place. 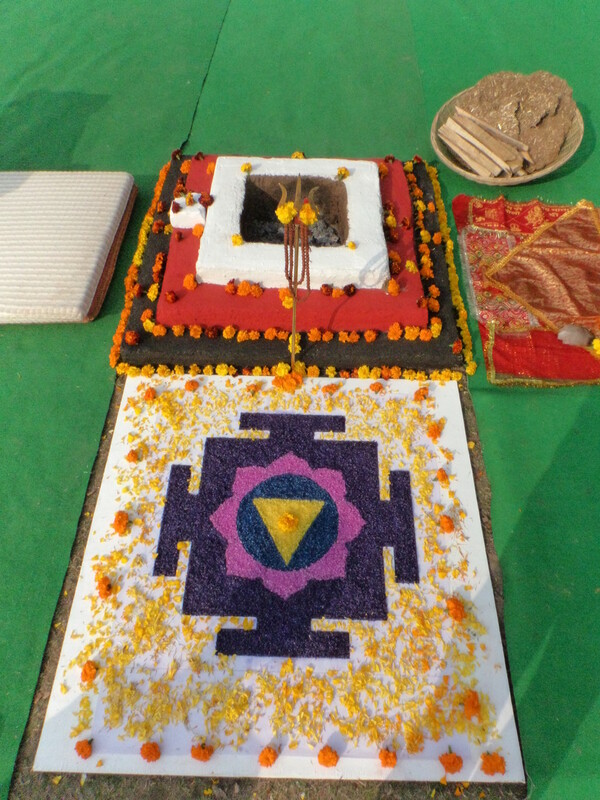 Here are few pics of Yantras. 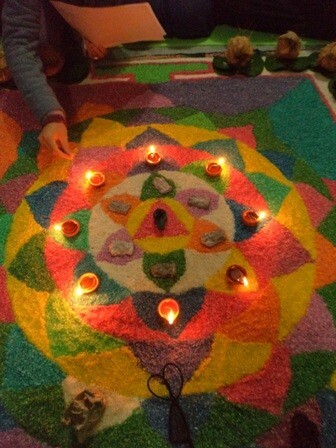 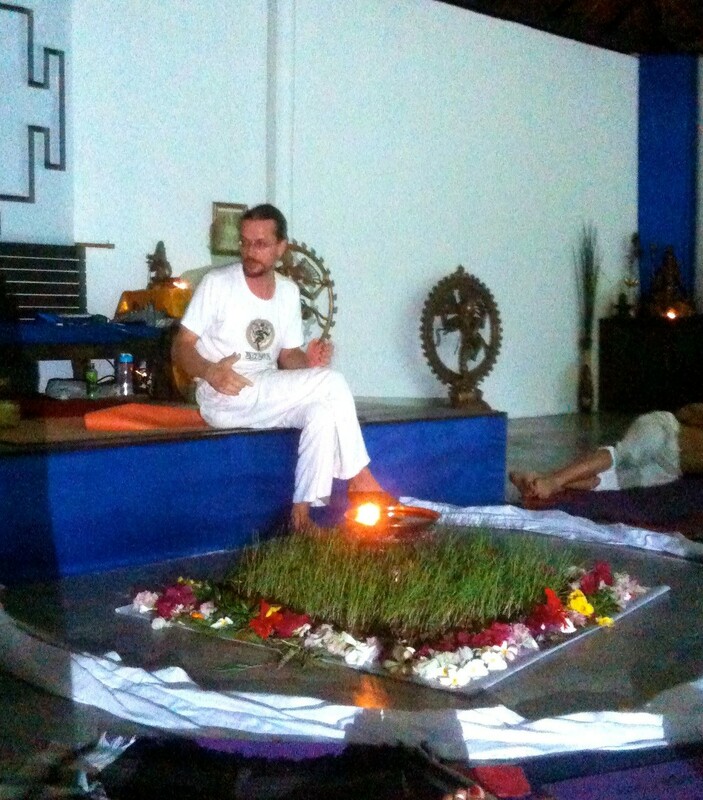 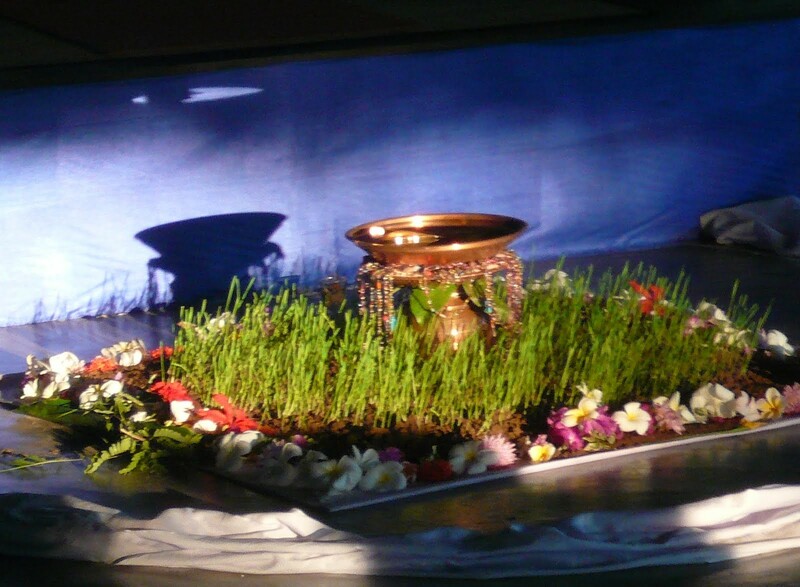 Most of them are related with the building of a growing yantra, during the Navaratri of spring 2014. 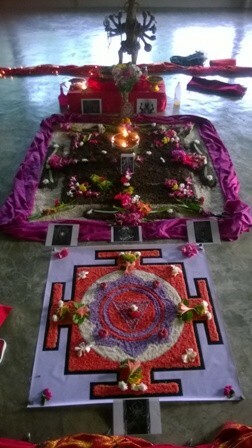 The yantra was dedicated for the Goddess Kali, an archetype of the Divine Feminine incarnating the energy of Time and Evolution. 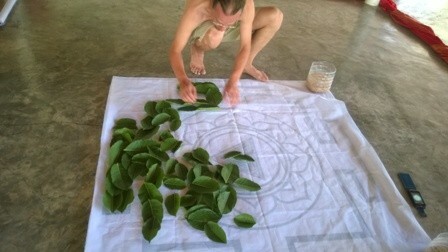 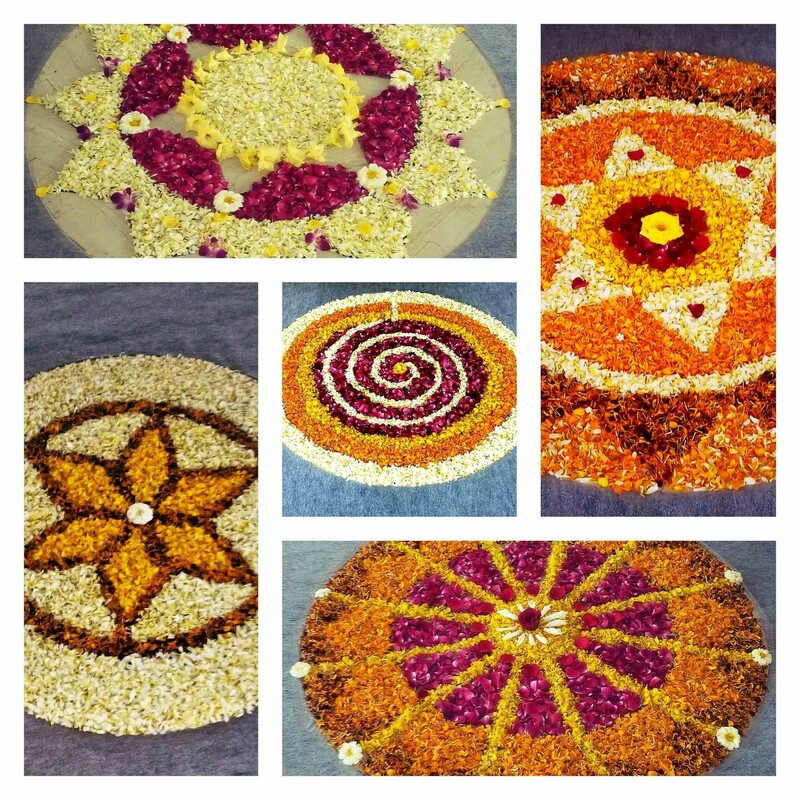 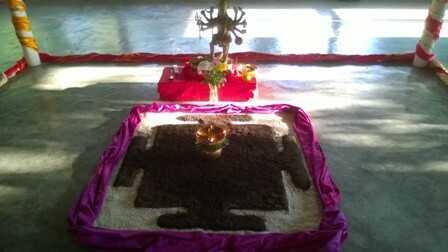 There are also few examples or rice yantras and flowers yantras build for other occasions.